Everyone agrees that data is the lifeblood of any business. Just think how tense you get when your laptop crashes and you realize you have not saved that critical document. Or put yourself in the shoes of your company’s sales teams when they suddenly find themselves unable to access information related to a deal in the pipeline at the end of the quarter because it is corrupted or went missing because of a database or server issue. 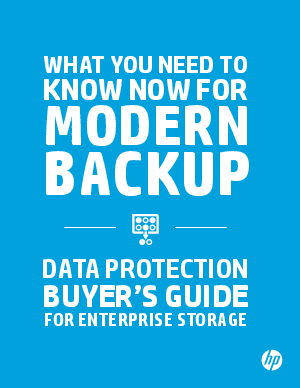 Data protection is—and always will be—a constant concern.